We will have the entire second floor to ourselves as we dine on Ribs, Brisket, pulled pork and more. 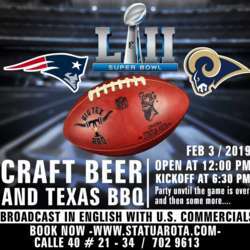 There is a great selection of beers and multiple big screen tv's to watch the game. There is limited space so sign up early. The waiting list has been activated.